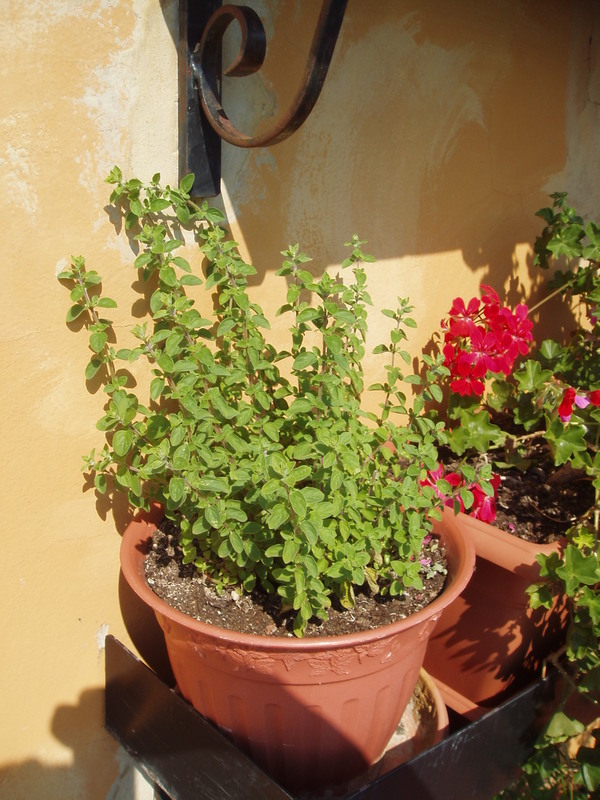 Well, actually, I got several photos of happy herbs with a view of the Mediterranean. 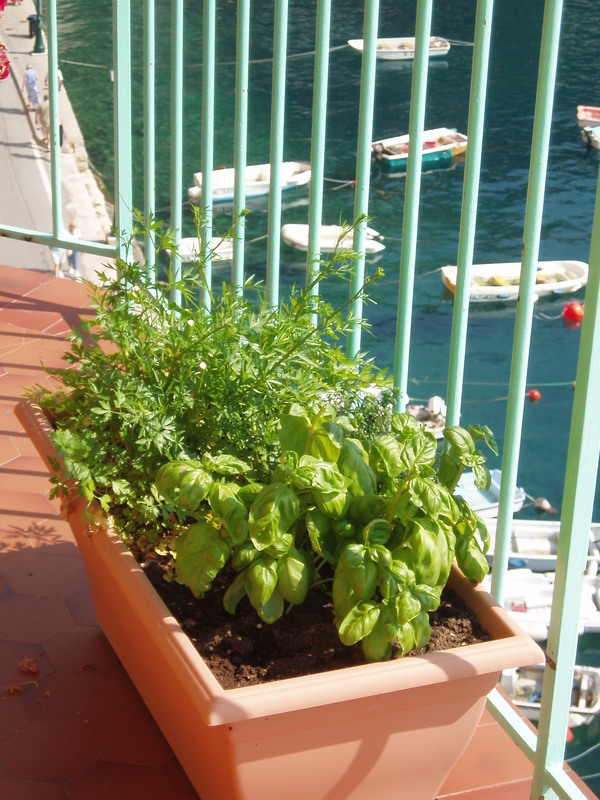 My friend Maureen called me last week from an aerie in the South of France, describing how much I’d appreciate the fact that a balcony, adorned with herbs, wrapped around the length of the place — which, by-the-way, looked out on the Mediterranean. And, of course, the weather was lovely. The photos she took bear witness to these facts. So here I sit, staring out on a Chicago morning and longing for the Cote D’Azur… And the day when the herbs on my balcony will rival the ones sunning themselves within the friendly confines of this post. Usually, I wait and sow my herb seeds directly into their pots outside when the weather is right. But, a week or so ago I planted a few of them inside using peat pellets and the mini-greenhouse system — just to get a jump on things. A picturesque stucco wall flanks the wrap- around balcony at the Villefranche sur Mer flat. Holiday countdown: will cold- tolerant plants go the distance?